What do kids want in their pumpkins this Halloween? 1. Smarties. This little candy has been around a long time. At one time, Smarties were banned from my school because kids were breaking it down to powder and snorting it. I bet it burned! 2. Starburst. Too sticky for me. 3. Twix. Yum! Finally a good one. 4. Nerds. My comment? WHY? 5. Skittles. Like Starburst, too sticky for me. 6. Sour Patch Kids. My own children like these (grown children, I should say). Too sour. 7. M&Ms. Now here's one I can really get behind. 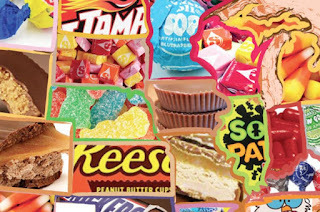 I love the peanut butter M&Ms, and I like the regular and peanut M&Ms, too. 8. Laffy Taffy. My son likes this one. Still too sticky for me. 9. Tootsie Rolls. I liked these as a kid, and my son loves them. My dad loved them, too. 10. Kit Kat. Here's another one I can support. 11. Reese's Peanut Butter Cups. My second favorite after peanut butter M&Ms. 12. Twizzlers. Not for me. Again, they're sticky. 13. Candy Corn. I normally don't like this candy, but I had some with peanuts mixed in, kind of like a trail mix, and it was delicious! 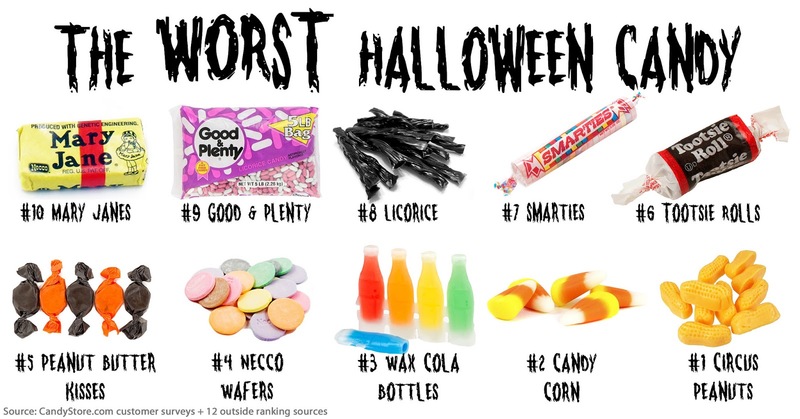 And there you have it: the most popular candy ranked by kids and courtesy of Pop Sugar and Candy Crate. For more Thursday 13, go here. 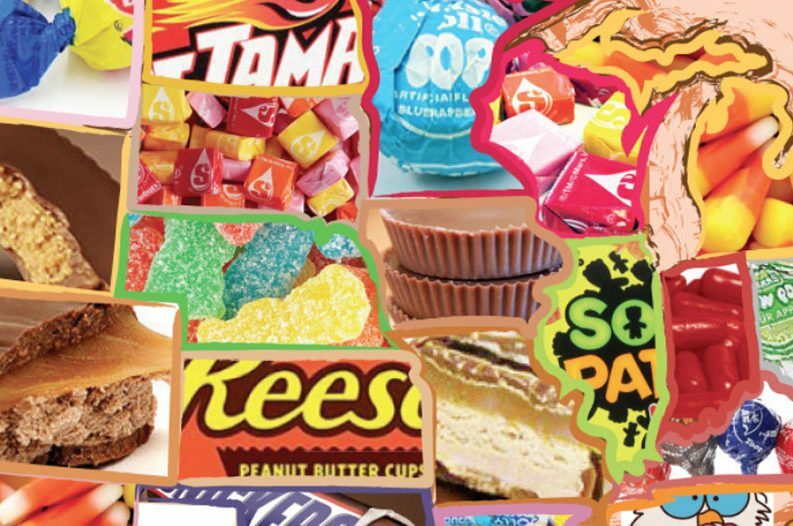 And for a bonus, here are America's favorite Halloween candies by state, thanks to Yahoo. My mother was a Kit Kat lover. She'd always buy them to give out at Halloween, making sure to buy at least three time more than she'd need. 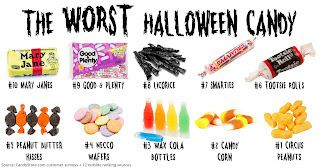 My favorite is a Milky Way Midnight, but I also like Smarties and buy them for myself sometimes. I would never have thought of snorting them. Why would you do that? Weird. Interesting list.